The longer we look at Charlottesville in the rear-view mirror (the best way to see Charlottesville), the more Jason Kessler looks like a leftist plant who engineered the deadly Unite the Right rally to create chaos and a leftist narrative that paints all conservatives as racist criminals. So far, Kessler and the liberal media have succeeded, but it is early. There is much still to be learned. In the aftermath of the Charlottesville tragedy, I took a close look at Jason Kessler, the organizer of the event and I began seeing him early as a possible double agent, a liberal plant sent to Charlottesville by nefarious leftist financiers to masquerade as a right wing leader, all in an effort to hang the anchor of racism around the necks of the patriots there, and by extension, around the neck of President Trump. More bits and pieces of the puzzle that is Jason Kessler are emerging and it looks more and more like my initial reasoning was more than plausible. It is probable. And that is based on preliminary information we have at this early date just scanning the internet. We now know this for sure – Kessler was steering the conflict between the patriots in Charlottesville and Antifa/BLM. He was making sure the conflict would happen. Check out the following…. Have you ever heard any leader on the right talk like this (image, below)? NO! 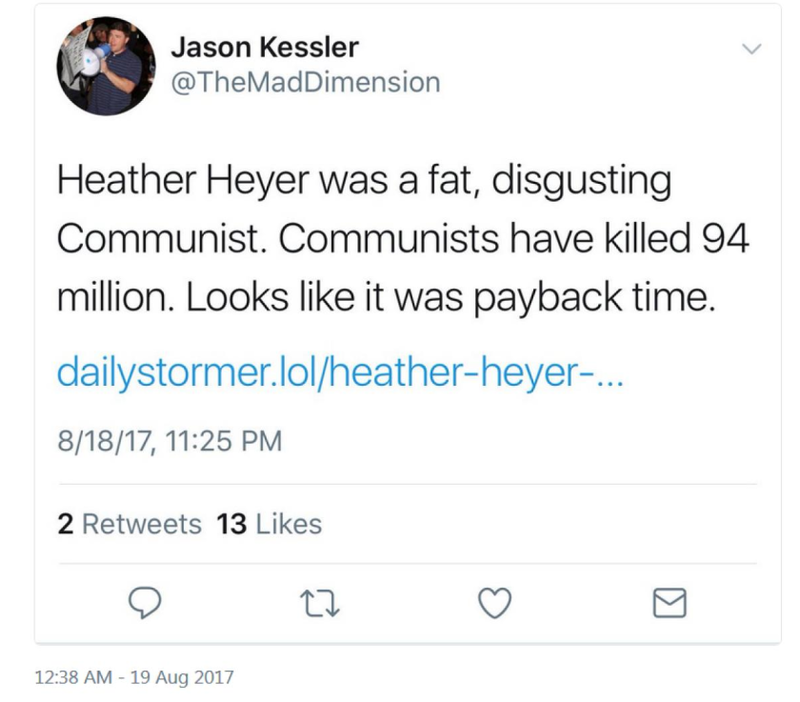 Kessler is a paid leftist plant, I am convinced of it. He should be labeled a seditious subversive, arrested, and water boarded to find out who is paying him. All roads lead to Soros, in my opinion. Kessler’s recruits openly discussed using cars as weapons to “exterminate” protesters. 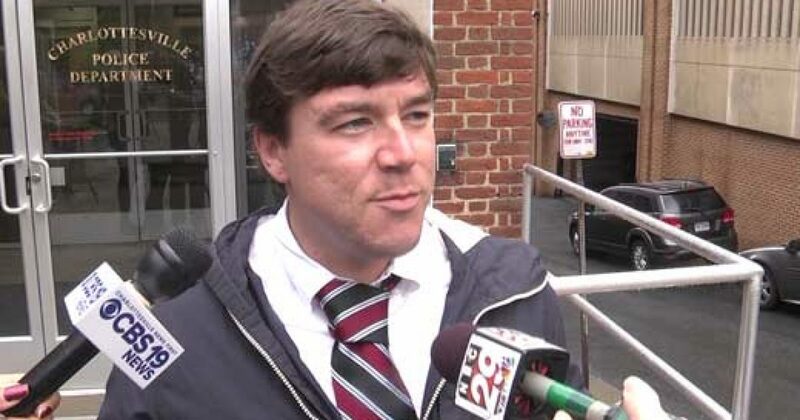 Jason Kessler, former Occupy Wall Street coordinator and confirmed leftist provocateur, ran a Discord server where white supremacists discussed armed attacks and running protesters over with vehicles. Here is a screenshot from the Discord server that James Kessler (MadDimension) ran. In the upper right corner, you can see that he is logged in and is moderating the chat, while they plan. “Sure would be nice.” He then posted a picture of a large harvester tractor, which he called a “John Deere Protester Digester”. Organizations that were instructed to attend the chats and to take orders from Jason Kessler and “Eli Mosely” were Identity Europa, Traditionalist Worker Party, & Vanguard America. Alleged terrorist James Fields Jr. held rank in the white supremacist group Vanguard America, and was photographed wearing their uniform, carrying their shield, and participating in the rally with them, shortly before the he allegedly used his car in a terrorist attack which claimed one dead and nineteen seriously injured. It is unknown if Fields was logged into the chat room when the car attacks were discussed, but “Vanguard America”, Field’s group, was logged into Kessler’s server while he coordinated with them. An Ohio white supremacist named “Gustavschwer-OH”, from Ohio, was logged in and confirmed that he would attend Kessler’s rally, while Kessler was logged in. Another member, “Kurt14Lipper” called for the “extinction” of the protesters. Jason Kessler and Richard Spencer encouraged white supremacists from all over the country to cross state lines with weapons in order to intimidate the residents of Charlottesville. Jason Kessler moderated a chat room on the Discord server that he set up for the event. He watched while his white supremacist recruits openly discussed using vehicles as weapons in order to “exterminate” protesters. He did nothing, but he did jump in when some members got into a little scuffle over something minor. How these people are allowed to laugh and joke about their actions on Twitter, while asking their followers for donations because they feel that their “civil rights” were violated by the police is beyond belief. Jason Kessler, Richard Spencer, Christopher Cantwell, Eli Mosley and all of those who recruited for, planned and organized this event need to be investigated and prosecuted to the fullest extent of the law.